You can display your Listing Packages that you have created with Listing Payments on a separate page if this is necessary for your website. Simply visit Pages ▸ Add New to create a new page. 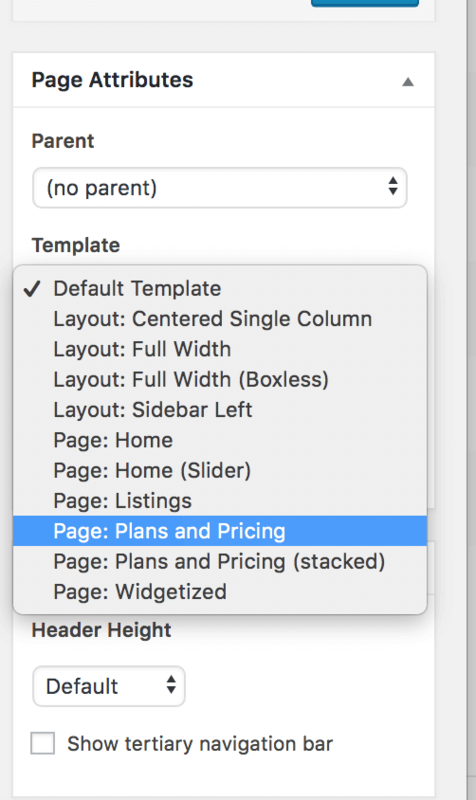 Assign the "Plans and Pricing" Page Template to the page. You can also choose the "Plans and Pricing (stacked)" template which creates rows of pricing options instead of columns. You may still add page content to the page description if you need extra content to appear above the pricing options.